SOME HISTORY. April 19th is Bicycle Day. 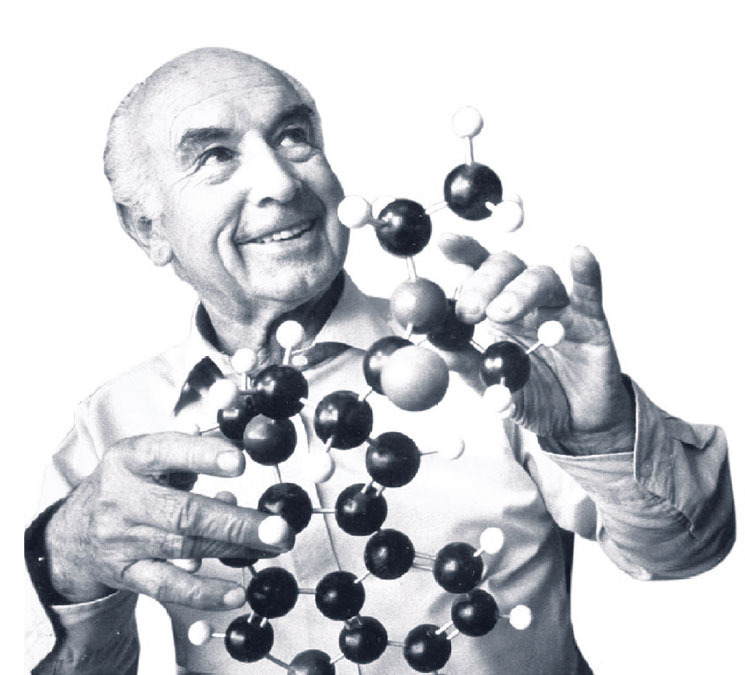 On that day, in 1943, Albert Hofmann, a Swiss medical researcher working for the pharmaceutical company, Sandoz, took some LSD, a drug on which he been experimenting. He soon found himself feeling unwell, and decided to return home. He rode his bicycle. As he had taken the equivalent of five doses or more, the resulting ride featured dramatic distortions of time and space. Hofmann cycled through an improbably curved landscape, he wrote, and felt like he was pedaling at a standstill, although he had in fact been seen to be moving at a good clip. This story, now legend, came to North America through Hofmann’s popular publication: LSD My Problem Child: Reflections on Sacred Drugs, first issued in 1978. It has since inspired, and continues to inspire, a small school of bicycle ride artwork. Hofmann was the main source of LSD for the rest of Europe and North America. By the late 1950s, news of Hofmann’s research had been reaching professionals. These included John Beresford, a chemist at Johns Hopkins University, who had tried other hallucinogens. In 1961 he ordered an ounce of LSD from Hofmann’s lab. He gave a gram to his associate, British researcher, Michael Hollingshead; and went on to found The Agora Scientific Trust, a group dedicated to LSD research. Hollingshead mixed his gram with sufficient cake icing to fill a mayonnaise-jar: enough for 5,000 one-teaspoon doses. Over the next few years he and his jar travelled. He introduced the potion to writers Aldous Huxley and William Burroughs, filmmaker Roman Polanski, poet Allen Ginsberg, Realist Editor Paul Krassner, philosopher Alan Watts, musicians Keith Richards, John Lennon, and George Harrison, and Harvard psychology professor, Timothy Leary. In 1963, along with colleagues Ralph Metzner and Richard Alpert, Leary established The Castalia Foundation, ran workshops in a donated upstate New York mansion, and published a guidebook for LSD explorers. From 1963 until it was raided in 1966, Millbrook, as the mansion was called, hosted countless adventurers in consciousness. Leary (1920-1996) went on to work on virtual reality software. Alpert became the American spiritual leader, Ram Dass; he continues to teach; Metzner remains active in LSD research, still publishes, and can be found on Facebook. Meanwhile back in 1958 Ken Kesey had joined a creative writing program at Stanford University, 35 miles south of San Francisco. Whilst there he participated in government run experiments in mescaline, psilocybin, and LSD. The experiments took place at the Menlo Park Veteran’s Hospital in San Francisco, where Kesey had been working as a night aide. The work and the experiments were foundational to Kesey’s book, One Flew Over the Cuckoo’s Nest, published in 1962. In 1964 Kesey and a group of travellers drove a 1939 International Harvester school bus named Furthur from his home in Northern California to the New York State Fair. Participants included Tom Wolfe, Stewart Brand, and The Warlocks, featuring musician, Gerry Garcia. The group called itself The Merry Pranksters. Wolfe, a popular writer, became the group’s historian. Brand went on to publish the Whole Earth Catalogue. The Warlocks became the Grateful Dead. From the mid-60s until 1968, Kesey hosted a series of parties in the San Francisco area he called Acid Tests. The bus trip and subsequent LSD culture are well described in Tom Wolfe’s memoir, The Electric Kool-Aid Acid Test. In 1968 LSD was banned, essentially for fostering un-American values. But by then the culture was in full swing, too widespread and scientifically advanced to extinguish. By 1967, according to NIDA estimates, ten million Americans (6% of the population over 12 years of age) had tried it. As in cannabis culture, there have been personal adventurers, spiritualists, and medical researchers. 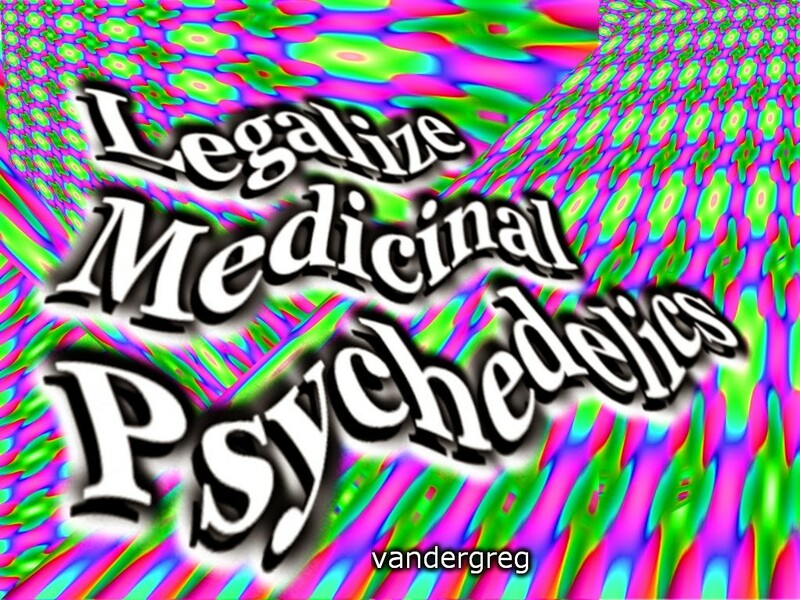 The Multi-Disciplinary Association for Psychedelic Studies (MAPS) founded in 1986 continues to advocate for legalization, especially as an aid to psychotherapy. There are still Americans serving life sentences for selling LSD. SOME CHEMISTRY. LSD-25 begins its life as a rye or barley plant that has been through an icy winter followed by a rainy summer. These conditions create an ideal home for Claviceps purpurea, a genus of ergot fungus. Lycergic acid, the base for LSD-25, is a metabolic product of this fungus. LSD is not friendly to home production. The maker needs a strong background in organic chemistry, a laboratory, a darkroom, and access to chemicals that are currently restricted. The extraction process is known to be challenging. The LSD molecule is crystalline, and has a two-ring “indole” nucleus (one atom of nitrogen; eight of carbon; seven of hydrogen) that is common to psilocybin, ibogaine, and other psychedelics. It bears a resemblance to the neurotransmitters, serotonin and dopamine, and interacts with them. SOME MAKERS. Key producers in the 1960s were Augustus Owsley Stanley III, known as Owsley and his apprentice, Tim Scully. Owsley, who served as soundman for the Grateful Dead, produced over ten million doses. Scully produced LSD for a group that called itself: The Brotherhood of Eternal Love. Established in the mid 1960s, the Brotherhood distributed LSD in and around Orange County, California, until the early 1970s. By then all concerned had been arrested. In 2000, contemporary makers, William Leonard Pickard and Clyde Apperson were arrested. Pickard is serving two life sentences; Apperson, 30 years. Prohibition remains destructive and useless; psychic travel continues. HOME BREW. Lab-made LSD is not the only source of the LSD experience. In 1959, ethno-botanist Richard Evans Schultes had been travelling in Oaxaca, Mexico. He wrote to Hofmann, sending him samples of the seeds of Ipomoea violacea, a species of wild morning glory, long used in ceremonies by Aztec and Zapotec shamans. Hofmann found the seeds to contain alkaloids similar to Claviceps pupurea. North American varieties known to be potent are Heavenly Blue, Pearly Gates, Flying Saucers, Blue Star, Sunny Skies, and Wedding Bells. 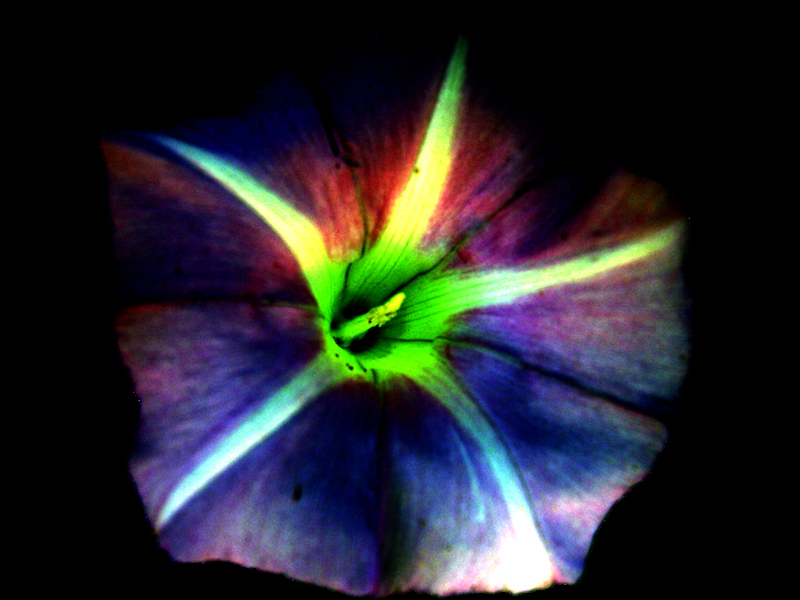 Morning Glory seeds do not contain LSD-25, but rather a complex of lysergic acid alkaloids that produce a similar, but softer experience. If you crunch up and swallow the seeds, pre-soaked or not, you will experience nausea and flu-like symptoms for quite some time before you get to anything enjoyable. A better, pain free approach is to do a simple water extraction. The extraction can be carried out at home, safely, and with no special equipment. Also, it allows for self-titrating. So for the DIY set, for LSD fans everywhere, and in the spirit of independence, I close today with the following recipe. 3. Cover, shake, and place in a cool dry place for twenty-four hours, shaking a few times more during that period. 4. You will now have a brown, murky liquid. Pour this liquid through the metal strainer onto the dish. Discard the seeds. 5. Now set the dish aside in a cool, ventilated, dark place, and allow the water to evaporate. This will take a couple of days. 6. You will now have a slightly sticky powder. Scrape this powder off with your razor edge—I use an exacto-knife—back into the jar, and add a small amount of the alcohol, about half an inch or so. 7. Stir with the chopstick, cover, and set aside in a cool dark place for another twenty-four hours, stirring a few times during the period. 8. Now pour this liquid through cheesecloth into a small drinking glass, squeezing it to get as much out as possible. Discard the cheesecloth. 9. Pour a bit of fruit juice into your glass, swish it around a couple of times, and drink up. You should feel effects in about thirty minutes; as with LSD, they last for several hours. Hallucinogenic protocol varies from person to person, and with the times. It’s a good idea to set aside a quiet place and time, and to have a trusted friend with you. POST SCRIPT. Prohibition of mild-mannered, mind-altering substances has damaged more individuals, more families, and more communities than one can count. After we free cannabis, let’s make an even better future, and free all the rest. This world needs new perspectives.